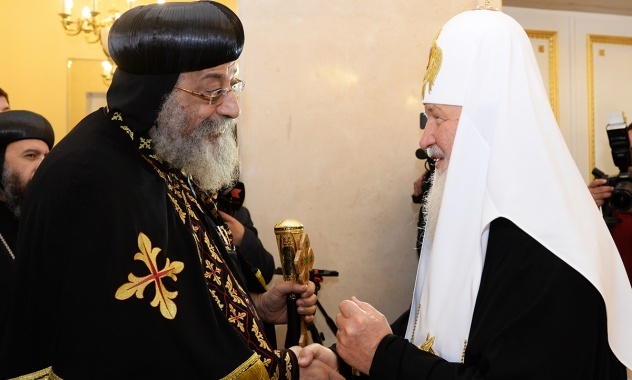 NFTU: Just going to the Moscow Patriarchate Department of External Church Relations website is often more than enough to find all the information one needs to report on non-Orthodox activities of the Moscow Patriarchate. On 19 October 2014, Pope Francis, two hundred and fifty Catholic hierarchs and many priest celebrated Mass for the closing of the 3rd Extraordinary General Assembly of the Synod of Bishops and Beatification of Pope Paul VI, who set up the Synod of Bishops as a regular advisory body some fifty years ago. Pope Paul VI played an outstanding role in the history of the Orthodox-Catholic dialogue. The epoch-making meeting between Pope Paul VI and Patriarch Athenagoras of Constantinople took place in Jerusalem in 1964 and brought about the lifting of anathemas of 1054 and the beginning of the official dialogue between the Roman Catholic and Orthodox Churches. 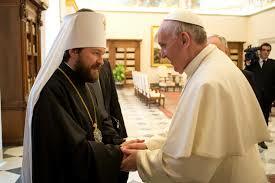 Metropolitan Nikodim (Rotov), the then chairman of the Moscow Patriarchate’s Department for External Church Relations, had several meetings with Pope Paul VI.